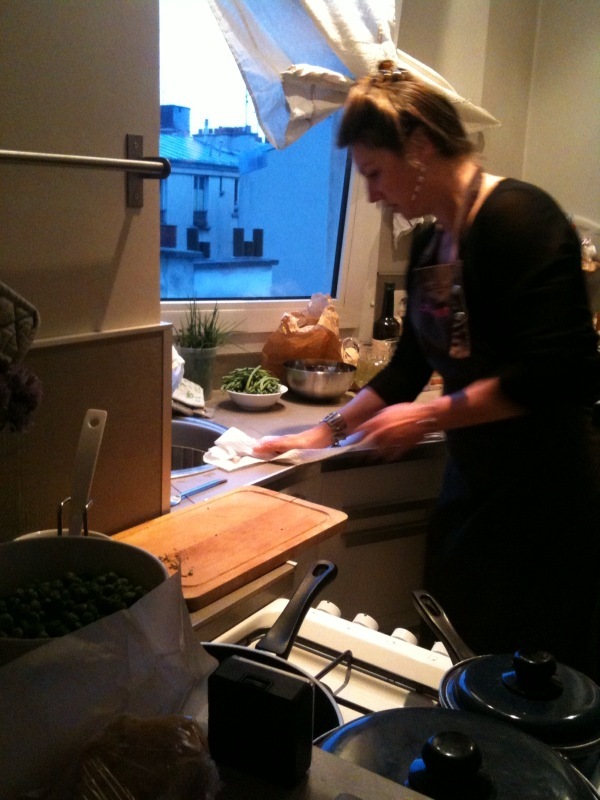 One of Veronica’s long time dreams was to buy food and cook it in her own kitchen in Paris. Her dream came true this spring. Saturday morning found us at the Bio market on the boulevard des Batignolles loaded down with beautiful springtime produce. Peas and asparagus that Veronica planned to simmer into her risotto. That evening, I served her a glass of Chateauneuf du Pape Blanc 2009 from Clos du Mont Olivet as she stirred the rice with a big smile on her face. And the sun was setting over the rooftops of Paris that were visible from the stamp-sized kitchen of the rented flat. 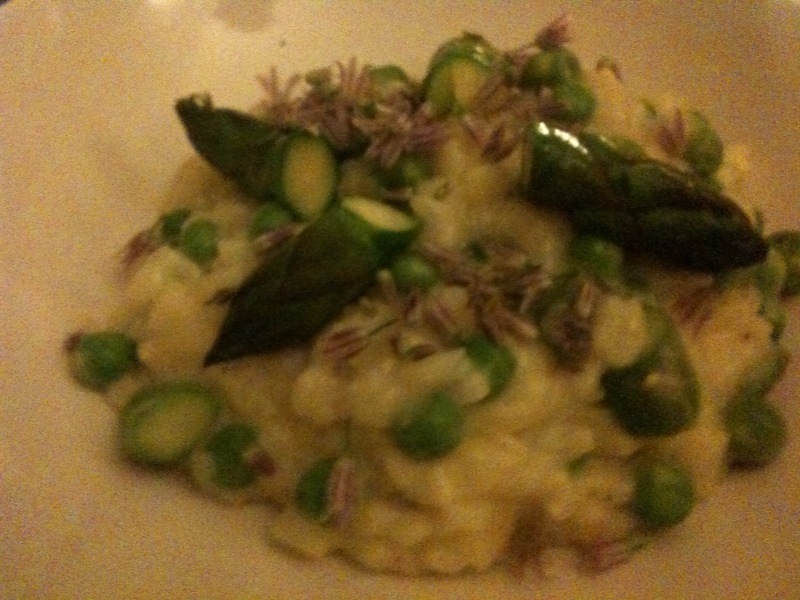 The final touches were taleggio and chive flowers also from the Bio Market.